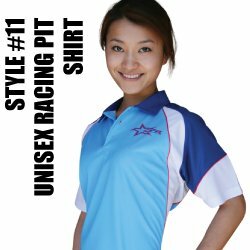 Style #11 is a full color photo quality printed shirt. It has a full polo collar with our 1/4 button down. This is our first shirt that has piping on the shirt to give the shirt more dimension. It is made from our #2 moisture wicking material with the smooth side out for crisp looking printing.